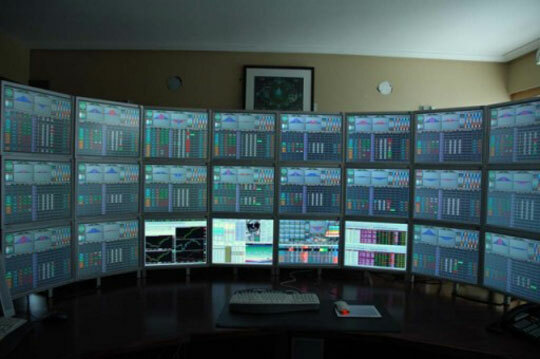 Multiple monitor technology facilitates work in graphic media, compiling programming languages ​​or work in multiple operating systems at once. More than that, it can be used in video gaming or in watching IMDB movies. Here are the steps you need to take in order to connect multiple screens to a PC or a MAC. Check your ports. You’ll need two video ports on the back of the PC, one for each monitor. There are three main types of connections: VGA, DVI and HDMI. For best results, use any two of these connectors for a dual monitor setup. Attach the second monitor in the free port. In most cases, Windows will detect the new monitor. If the monitors is not detected, restart your PC. Use the Configuration Wizard. Usually, this app will start automatically when adding a new monitor to the system, so you don’t have to worry to much. You select from two options: “mirror” or “extended desktop” option. If you choose mirror, the same image will appear on both monitors, and if you choose the extended option, then your desktop will cover both monitors, giving you the possibility of multitasking. Configure your monitor manually. If the wizard does not start automatically or if you want to change the settings for one monitor, use the Display Settings tool. Right click on the Desktop and select Properties or Personalize. Select Display Settings from the panel, and you should see icons representing numbers attached to each monitors. Select the second monitor and choose the option you would like: mirror or extended. Connect the second monitor. Your Mac should have available video connectors for attaching it, and each will need its own display video cable. Opt for mirroring or extension. Most of the screens will be recognized automatically and you have to choose your preferred setting. Adjust the settings manually. If you want to change the settings yourself, go to the Display Preferences menu. You get there by clicking on the Apple menu and selecting System Preferences, then Displays. To extend the desktop, click on the Arrangement and follow the instructions on the screen. For mirroring, set both monitors to the same resolution from accessing Arrangement and subsequently Mirror Displays. Now that you’ve installed, get ready for the ultimate experience! You could, for example, challenge your friends to a football game on two monitors, or invite them to a car racing game for extra adrenaline. The possibilities depend only on your creativity! If you want to add extra-monitors, you can always buy a VGA or HDMI adapter.